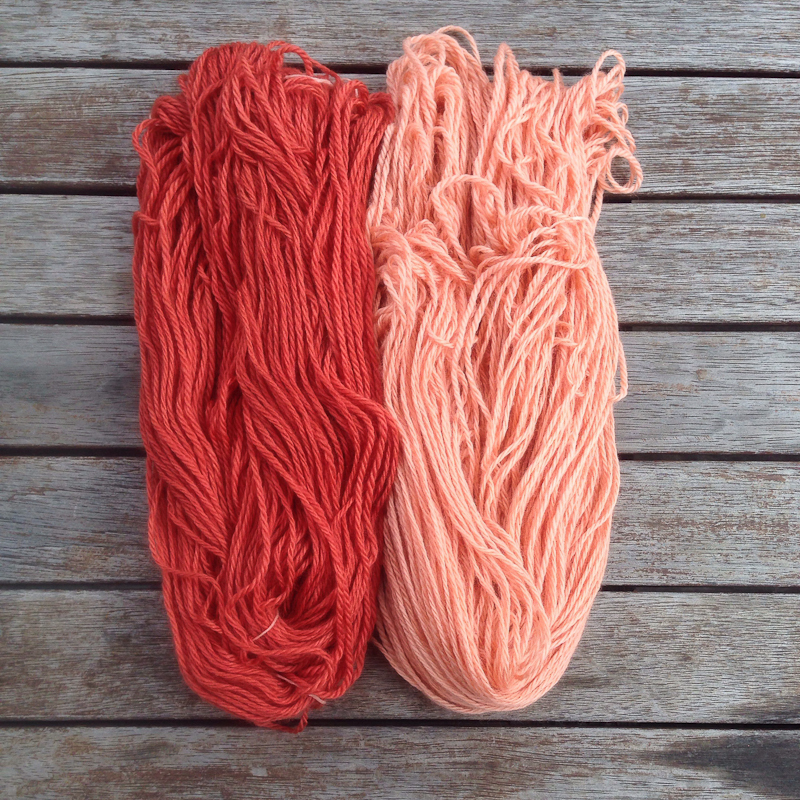 Possibly the loveliest part of dyeing with madder, is the smell of it. It has a rich earthy sweet smell, and it just smells red! Standing at the stove, checking my dye, breathing in the sweet earthy aroma makes me feel really connected to what I am working on. It conjures up a sense of well being and warmth, contentment and pleasure. If I was a religious person I would say it feels like a prayer. Standing at the stove, feeling the heat, breathing in the dye’s scent, it centres me and makes me calm. I imagine it’s how a chef feels when they are concocting a culinary masterpiece, and all the flavours come together just so, and they can smell it, and they know the joy of what they’re making before it is done. Madder is a traditional dye plant and it’s use has been dated as far back as 2000 BC. The dye is present in the root of the plant, and is cultivated in 3 year intervals. I would love to grow my own madder for use, but the 3 year wait to then harvest has dissuaded me so far. All my experiments with Madder root have been on merino and alpaca yarns. I would like to attempt a Turkey Red on cotton one day, but the length of time and investment involved in using it with a plant based fibre is daunting to say the least. I will do it eventually, even if just to say that I have. Madder root is quite a weak dye and requires a lot of it for depth of shade. It can make for a bit of a thrilling dye experience because then if you screw up, you know you might as well have set some money on fire instead! The upside however when it works out is you get a brilliant deep red, and you can then use the dye bath again and again to achieve lighter shades. The lighter corals, peaches and pinks are quite lovely, and are just as colourfast. They remind me of the roses that grow in the front yards around Moreland at the end of summer. Madder is considered to be very light and washfast, and can be good to use as a control sample when testing other dyes for the same. 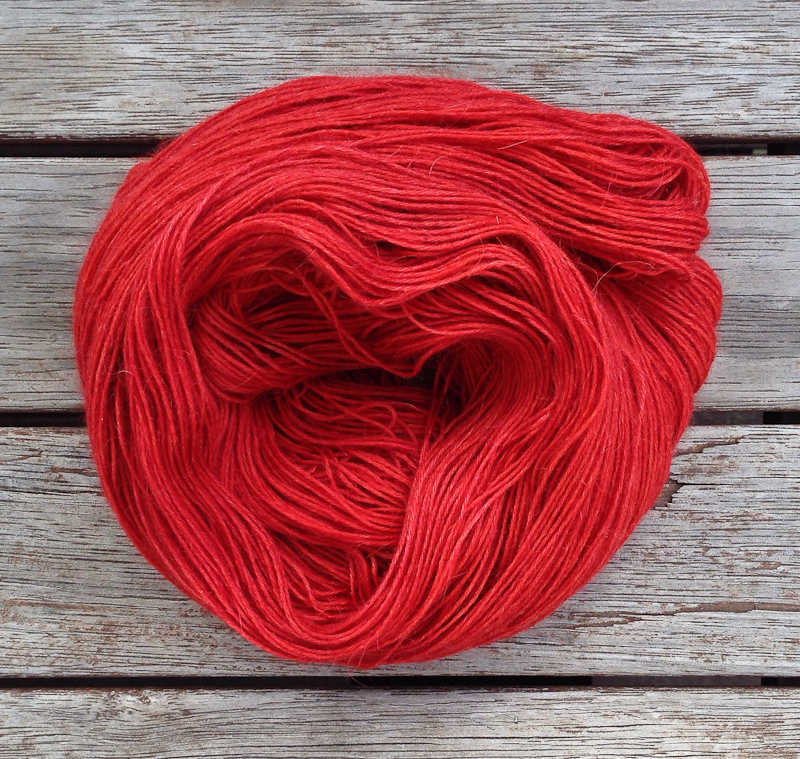 The most important technical thing to remember when you dye with Madder Root is to not let it get too hot, or your colour will not be as pleasantly vibrant. 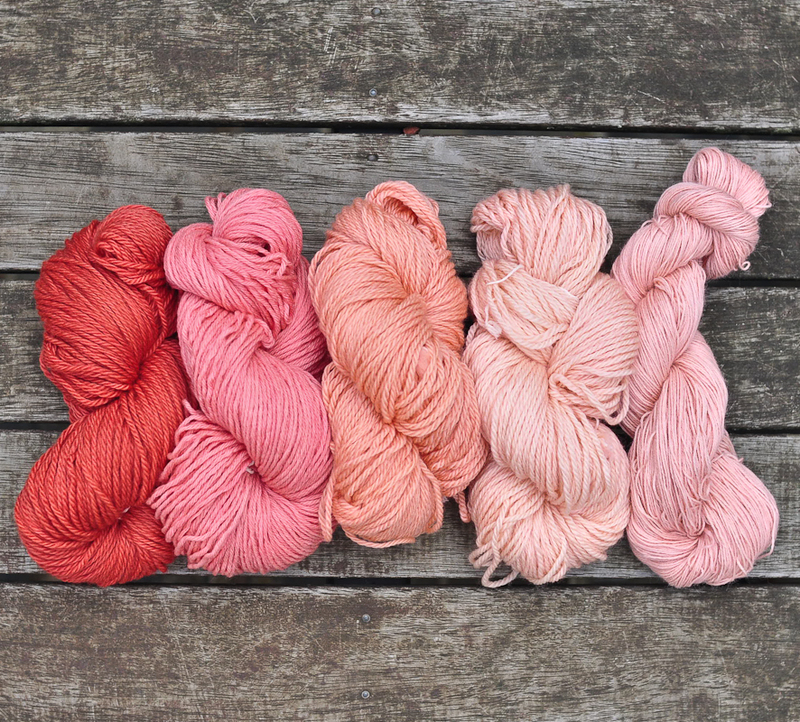 Enjoy your dyeing with Madder! Don’t forget to take a moment to relax, breathe it in, and let it’s earthy wonderfulness wash over you. Merino throws dyed with Madder available in the shop! How inspiring! I haven’t actually tried madder yet, but now I’m really exited. What a beautiful colour.